Inside scoop: This vegan cashew cream cheese will become a staple, whether you’re a vegan or not. This recipe was submitted by Nicolle Bergeron, Registered Holistic Nutritionist that supports others with their journey to bring real food back to the table. You will absolutely find recipes on this website that have animal based products, mostly dairy, in them. We love a good goat cheese (as it’s easier on digestion than cow cheese, and also so dreamy, creamy and rich) and we usually tell most people that dairy can have a place in a healthy diet, as long as you’re mindful of your intake and limit it to a couple of ounces a day (or every few days). But, we also know that consuming too many animal products isn’t good for anyone, and most certainly isn’t good for the planet. Sorry keto, but no one can survive off of bacon for every meal. So, we’re not saying you need to remove dairy altogether, but we are saying that you can happily apply some more plant-based options to your diet, like this vegan cashew cream cheese, to help minimize your intake of dairy (which contains saturated fats), and increase your intake of nuts and seeds (which contain monounsaturated fats). The only thing worth noting is that fat is not bad! As a matter of fact, we need fat for energy, brain health, metabolism and cardiovascular health (yes, it’s true). But, decreasing saturated fats and increasing monounsaturated fats (like in cashews) have been linked to decreasing your risk for heart disease due to the anti-inflammatory properties of monounsaturated fats, like Omega 3. Although, mainstream media states saturated fat is linked to heart disease, there is actually no concrete evidence to prove this. 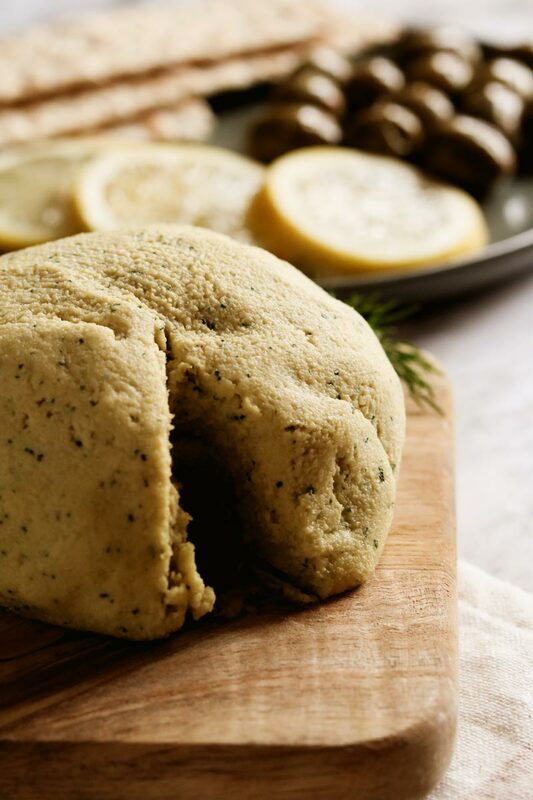 So, whether it’s goat cheese, or this lovely vegan cashew cream cheese, please….eat the fat! 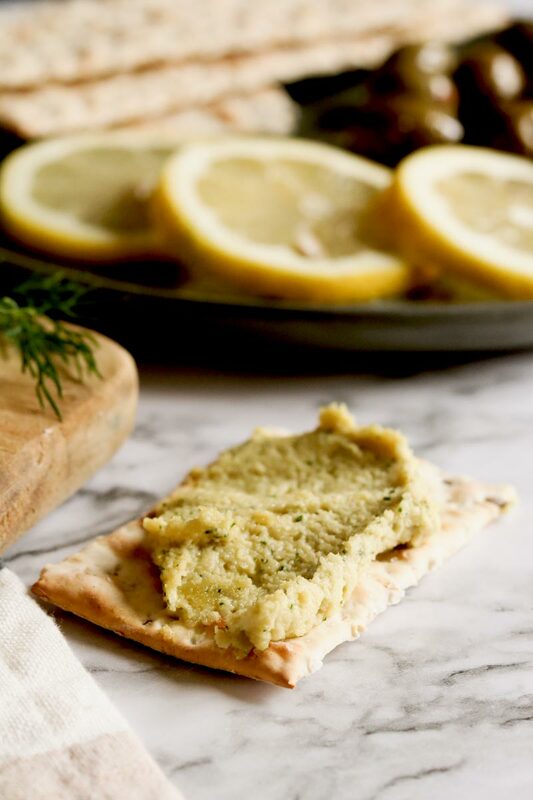 CAN WE TALK ABOUT THIS VEGAN CASHEW CREAM CHEESE FOR A SECOND? Pardon our, should you or shouldn’t you be eating dairy rant. We just needed to say it. 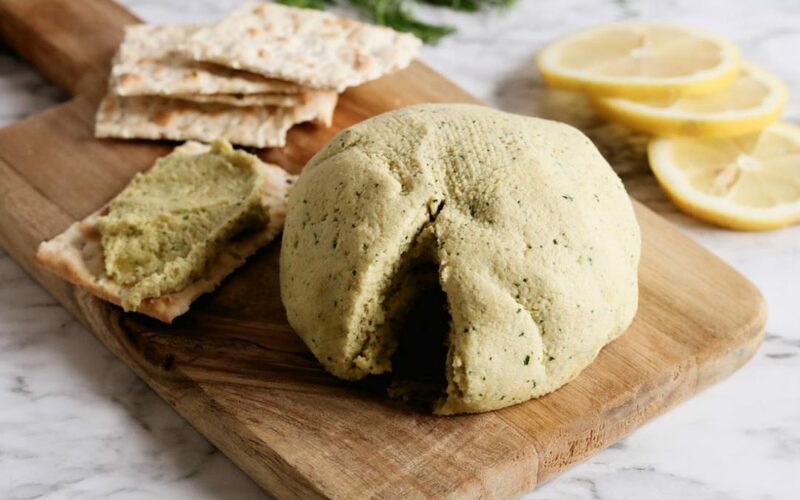 Whether or not you’re a vegan, adopting a more plant-based approach or love meat, it doesn’t really matter because this spread, this vegan cashew cream cheese, this delicious and nutritious addition to crackers, sandwiches, salads, fruit, tacos…. is flavour packed and incredible. It will not only impress your guests, but it will be hard not to devour right after making it. 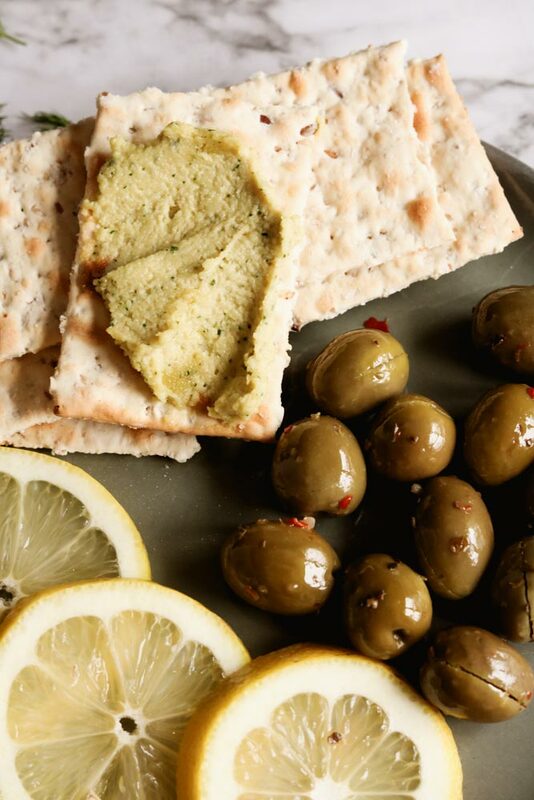 It brings life to artisanal boards, and offers a healthy alternative to those processed and packaged dips you usually find at the grocery store. Get in on this Vegan Cashew Cream Cheese today, and you’re going to love to slather it all over this Vegan Black Bean Burger, we promise no animals were harmed in the making of either recipes. 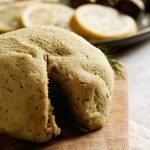 What do you think about plant based cheese? We would love to hear in the comments below. 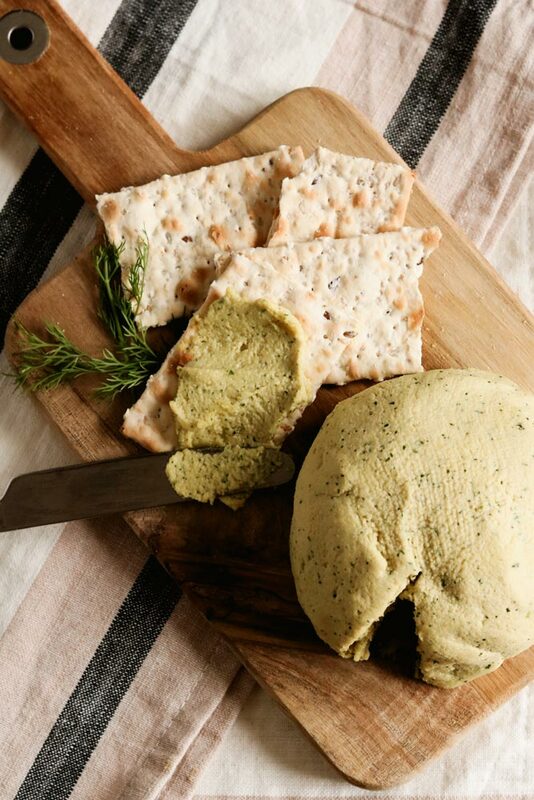 This vegan cashew cream cheese is the perfect addition to crackers, chips, sandwiches or sliced veggies. Toss all ingredients into the food processor and blend until smooth. Refrigerate for an hour before serving. If you'd like to get this in the shape of a ball, you can use a cheese cloth and chill it, just softly remove the cheese cloth when ready to serve. If you have the time, soak the cashews in water for at least an hour. Drain and rinse the cashews and then blend in the food processor with the other ingredients. Soaking cashews helps give your cashew cheese a smoother consistency. This recipe is courtesy of Nicolle Bergeron from Nutrition With Nicolle. Nicolle is a Registered Holistic Nutritionist who is located in Ottawa, Ontario. 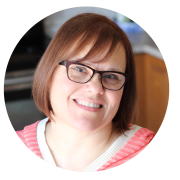 She has received her designation through the Canadian School of Natural Nutrition and pursues her passion by supporting others with their journey to bring real food back to the table. Check out Nicolle on facebook at Nutrition with Nicolle or follow her on twitter @nwithnicolle! I’m loving vegan cheeses. We’ve been mostly plant-based for the past four years so cheese has been off the menu…except as a treat at someone else’s house. In the past couple of months I’ve discovered vegan cheese and am experimenting…WONDERFUL! It totally is and nutritional yeast adds that cheesy flavour. Also our favourite store-bought one is Nuts for Cheese which is also fermented and looks perfect on a cheese board. Let us know how this one turns out if you do try it!